Jordan McAuley’s record spans more than a decade in publicity, marketing, publishing, events, and entrepreneurship. 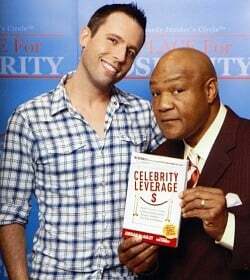 Known as the “King of Celebrity Contacts,” his Contact Any Celebrity service is one of the most respected publicity resources in the world, with a blue-chip roster of marketers, publicists, nonprofits, journalists, and media clients who rely on it daily. McAuley has been quoted in USA Today, Entertainment Weekly, Investor’s Business Daily, Publisher’s Weekly, Out Magazine, Inside Direct Mail, E! Online and other local and national media. He and his clients have been featured by the Associated Press, Wall Street Journal, Newsweek, Star Magazine, Village Voice, Entrepreneur Magazine, Instinct Magazine, and more. He has also appeared on CNN, National Public Radio (NPR), Q Television, Better TV, and Sirius/XM Satellite Radio. McAuley got his start as an intern in the publicity departments of CNN and Turner Entertainment in Atlanta. He also worked at a prominent modeling agency in South Beach, Miami; a film production company in Hollywood, California; and a top talent agency in Beverly Hills. McAuley is featured in several best-selling books including Timothy Ferris’ The 4-Hour Workweek, Dan Kennedy’s Marketing to the Affluent, Dan Poynter’s Publishing Encyclopedia, John Kremer’s 1001 Ways to Market Your Books, Robin Blakely’s Get PR Therapy, and Tsufit’s Step Into the Spotlight: A Guide to Getting Noticed. 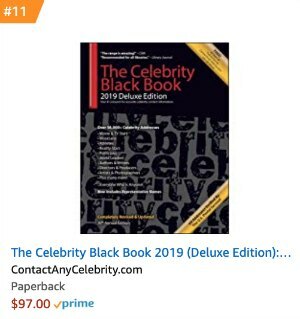 McAuley is the author of the best-selling annual directory, the Celebrity Black Book, Secrets to Contacting Celebrities: 101 Ways to Reach the Rich & Famous, and Celebrity Leverage: Insider Secrets to Getting Celebrity Endorsements, Instant Credibility and Star-Powered Publicity. He is a member of the Public Relations Society of America (PRSA), the Association of Fundraising Professionals (AFP), the Independent Book Publishers Association (IBPA), the GLAAD Media Circle, and the Information Marketing Association (IMA). Jordan McAuley was born and raised in Atlanta, Georgia. He graduated with a Bachelor of Science in Communication (Motion Picture Business and English Literature) from the University of Miami in 2000.